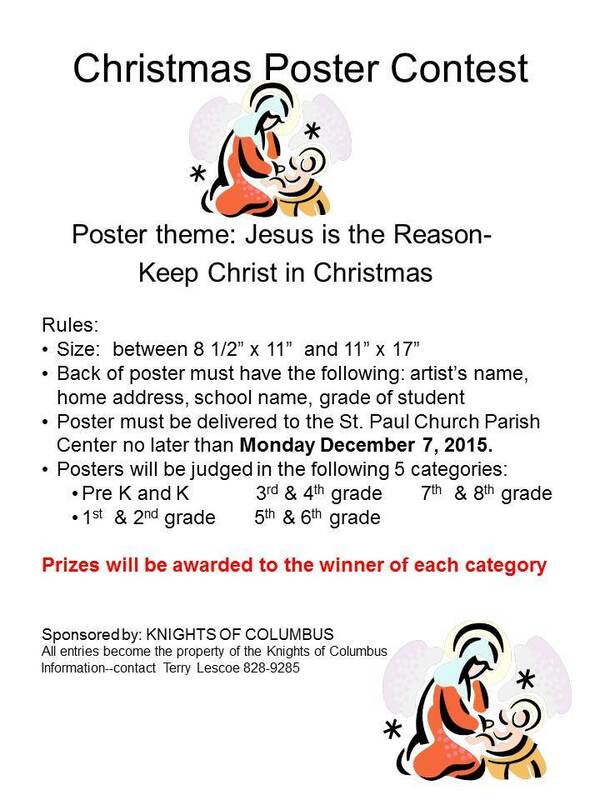 In a society where Christmas has become for many - especially children - a secular holiday, the Knights of Columbus has introduced the Keep Christ in Christmas poster contest to allow young people to understand the true, spiritual meaning of Christmas and to engage their creative talents and imaginations. place in the 2013-2014 contest, age 5-7 level. Entries in the contest must include a slogan reflecting the "Keep Christ in Christmas" theme and include an original visual image. The contest is open to all young people between 5-14 years old. Prizes are awared in 5 age-group categories. Deadline is Dec.7th!